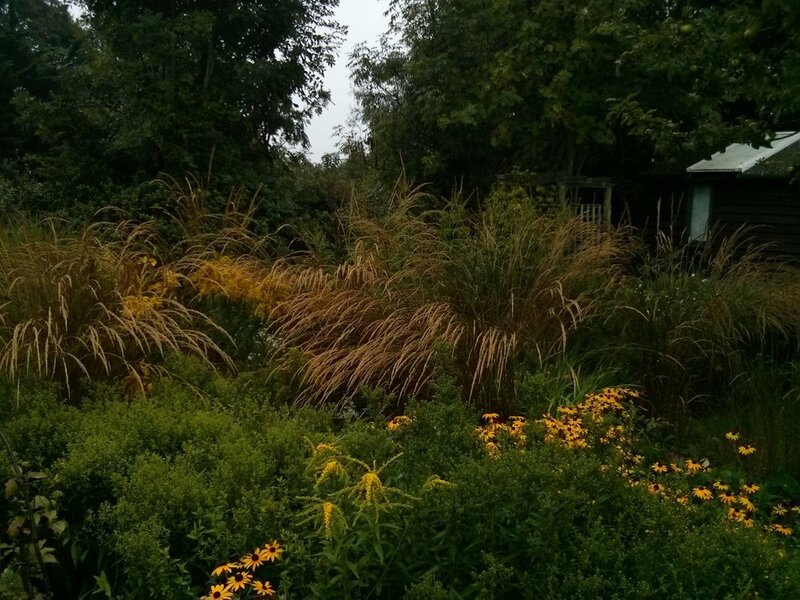 Colours in the garden are either late summer or early Autumn but are certainly intensified by the rain. I went down to the allotment as the rain slowed but had to shelter in the shed as the rain swept back in. In the end had to harvest raspberries in the rain.